BMX rider Kriss Kyle does the unthinkable by jumping off a helicopter onto a skyscraper on his bike! 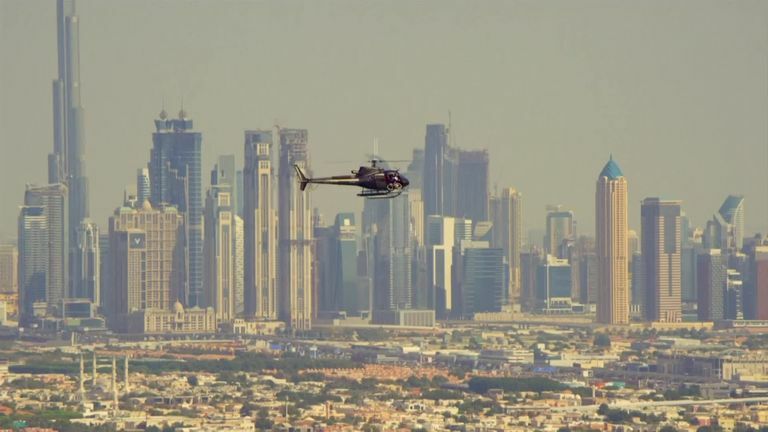 A BMX rider has pulled off a remarkable stunt off a helicopter in Dubai. Kriss Kyle glided out of the helicopter on his bike to land on the roof of the iconic Burj Al Arab hotel in Dubai. Ironically, the Scottish rider holds a fear of heights but that did not stop him from jumping 14 feet onto the roof, landing directly onto a ramp – yikes! Windy conditions made the jump even more tricky, not ideal if you don’t like being high up, who only had one opportunity to land on the 210-metre high helipad – rather him than us! Hit play on the video at the top of the screen now to see this incredible guy in action!